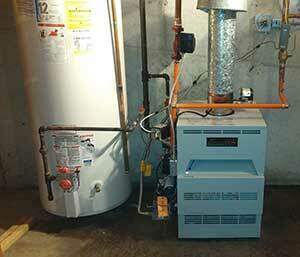 For 25 years, Able Heating, Cooling and Plumbing has been providing heating, air and plumbing service for both residential and commercial customers in Cadillac, MI, and the surrounding areas. Our high quality repair and installation services are prompt and competitively priced to ensure your complete satisfaction. Are your heating, cooling and plumbing appliances in good shape? It’s easy to forget the heat of summertime after a long winter, but you’re going to need that air conditioner working in tip-top condition to prevent a burnout. And, on the opposite side of the spectrum, once the weather cools down, we take furnace repair in Cadillac, MI, very seriously. Your physical comfort determines your productivity, mood, and well being, which is why we’ve made it our top priority. 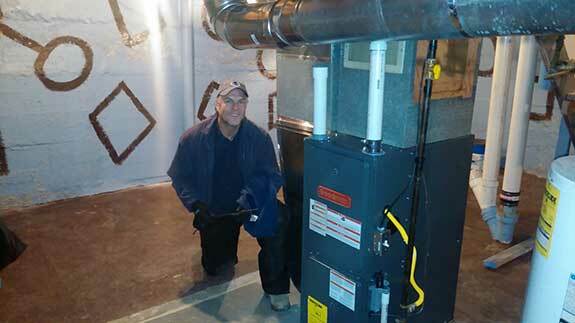 25 years of servicing this community in all seasons and all kinds of weather has made us the foremost experts in HVAC repair and installation in Cadillac, MI. We have an A-plus rating with Angie’s List. We offer flat-rate residential fees, plus parts, and free estimates for new construction. We offer 24/7 emergency services to keep you comfortable. We use parts and equipment from only the most superior brands to give your home enduring value. Whether it’s repairing your furnace in a hurry or installing a new unit to prepare for the changing seasons, we’re here to provide you with the HVAC services you need.